Jo Painter is a leading international Career, Leadership and Confidence Coach. Working with thousands of women and organisations, she's passionate about supporting women's confidence and career-progression and changing workplace culture. Jo Painter, is a leading International Career, Leadership and Confidence Coach for Women. Following a 17-year corporate career she left to set up her own coaching business. She was then diagnosed with a rare form of cancer in the placenta of her third pregnancy. This led to 18-months in a cancer bubble. Having gone in to remission, Jo found her confidence had been badly knocked and started the journey to rebuild it. She realised that she wanted to help other women build their confidence and self-belief. Combining this with her corporate experience and research into successful women, her business took off. After 12 years of studying and working with thousands of women she has a proven system to support women to achieve confidence, courage and credibility in their career. She shares this in the book ‘Good Enough’ along with real-life examples from her coaching clients. Jo is passionate about supporting women to achieve individual career success. As well as working towards a level playing field in the workplace culture for her daughter and for all girls to come. Success! Good Enough sold 89 pre-orders by April 14, 2019, was pitched to 38 publishers, and is in discussions with publishers. - PLUS Access to Private Facebook Group so you can Book Club the Book with other people who are reading it too! - PLUS Access to Private Facebook Group so you can Book Club the Book with other people who are reading it too!+ Free invitation to the book launch. - Access to Private Facebook Group so you can Book Club the Book with other people who are reading it too!+ Free invitation to the book launch. - PLUS MY 1-MONTH CAREER TRANSFORMATION PROGRAMME. This includes a half day together followed by 3 calls virtually or by phone. Usual price $1968 (£1500)!!! Do you feel Good Enough in your career? This guide shares strategies, mindset changes and real-life stories for women to progress their careers with self-belief in today's post #MeToo workplace. Women’s confidence at work has been a hotly debated topic since the gender confidence gap was highlighted by Katty Kay and Claire Shipman in The Confidence Code in 2014. Many studies have backed this up, then last year a report by Laura Guillen in the Harvard Business Review suggested that confidence wasn’t the issue, rather it was behaviours of organisations that need to change. In Good Enough, Jo Painter discusses these issues and how, in today’s workplace culture, working hard and delivering well is no longer enough to get a career woman ( a woman who is interested in growing her career) the success she dreams of. Instead a professional woman in a mid to senior level role who wants to progress would need to demonstrate not just competency but also confidence, courage and credibility. The difficulty with this is that society conditions girls to be modest, nice and to not upset others. This ‘nice’ girl conditioning comes from parents’ expectations of girls to be polite and kind, schools expectation to work hard and deliver well and societies stereotype of the way women should behave at work. Being ‘nice’ does develop skills of relationship management and empathy but makes it difficult to walk the tightrope between being direct, but seen as aggressive and being nice, but seen as ineffective. This double edged sword can be one of the reasons women choose not to go for promotions or even to drop out of the industry. To improve their chances of career success, women need to get comfortable with being visible in their organisation and industry. Sharing successes, stepping up to take new responsibilities and getting their voice heard. The #MeToo campaign has opened up the issue of awareness and reporting of sexual harassment and Jo believes it can now be a foundation and focus to tackle other inequalities in the workplace. Although there is now some apprehension from men to mentor women following #MeToo. There is a great opportunity to change company culture, proactively support women and bridge the gender confidence gap. As highlighted in a 2018 PWC survey trust, transparency and support are the 3 levers to achieving more women leaders and if we can harness the power of #MeToo we can speed up the crawling pace of change in the number of women executives..
Jo Painter is a leading International Career, Leadership and Confidence Coach. She uses her research and coaching of thousands of women, to identify and examine what it takes to be successful in your career--without doubting your capabilities or worrying what others think. Jo had 17 years in a corporate career before developing her coaching business 12 years ago. She works with individuals and organisations such as; Amazon, Ford, Lloyds Banking Group, Women in Tech, Women in Banking and Finance and Lean In. She’s appeared on Sky News and is regularly in the press such as; Management Today, Stylist, The Muse, Essentials and Happiful. If you have had some career success but struggle with self-doubts. If you are frustrated with your career progress or want to have greater impact and credibility at work. This is an essential guide for you. Good Enough is designed as a programme you can work through or dip in and out of. Each chapter includes inspiring client stories of real women who have transformed their mindset and achieved amazing careers. Like Sarah who felt intimidated and was often interrupted in board meetings but is now flying . Or Jane who struggled with feeling she wasn’t good enough for her role and thought she’d be found out as an imposter but has now stopped worrying. Chapter 10: I AM Good Enough; you’ve got the skills; now ensure you believe in and value yourself!! The target readers for this book are professional women of 30 to 55-years old. They are mid to senior level managers working in male-dominated industries such as; Law, Finance, STEM and Insurance. The women who this book is written for have already had some career success and know that they are capable of the job, but are still held back by self-doubts and worrying what others think. This was highlighted in a study by the Institute of Leadership and Management in the UK. Managers were asked how confident they felt in their profession. For female managers half of them had doubts about their abilities and were cautious about going for promotion. Compared to less than a third of their male peers. For these women having high standards and expectations will have helped them achieve so far but, a fear of failure, procrastination and expecting perfect delivery are now working against them. A report by Curran and Hill for The American Psychological Association in 2017 showed that not only is perfectionism higher in women than men but that it has become an increasing problem over the last 20 years. It’s likely that women looking to progress will have devoured self-help books, listened to podcasts such as Tilted by Lean In and spent time with a mentor. Despite this many women haven’t realised that to get credit for their work and to get progression a career woman needs to have visibility and credibility in the workplace. The goal is to get those figures closer to 50%. 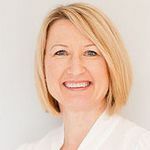 Jo is a regular keynote speaker and has worked with organisations such as; Amazon, Ford, Lloyds Banking Group, Women In Tech, Women In Banking and Finance and Lean In. She has appeared on Sky News and worked with the PR agency Frank PR. With an email list of 2500 who are emailed weekly, an average opening rate of 21% is achieved, compared to the industry average of 16%. For example this newsletter - 5 Tips For Women Leaders or this one 5 Ways To Stand Out In A Male Dominated Workplace These loyal readers are a key part of the Good Enough promotional plan. You’ll find her latest blogs on the website www.confidencecoachingforwomen.co.uk which has a pageview of 1500+ per month. 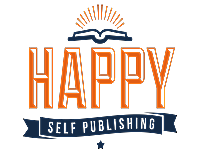 Jo writes regular blogs for the Life Coach Directory (including this blog with the highest number of visitor reads) and Happiful magazine. Jo also uses video to promote her business. Each week posting videos on the subject of being Good Enough in your career, to all her social media platforms and uploading to her YouTube channel For example; Why Is My Work Not Being Recognised? - (How to promote your work without being boastful or bragging) - which got 500+ views. Video marketing has been proven to be an effective tool for attracting Jo's clients. Playing Big is a practical guide to moving past self-doubt to living with a sense of greater freedom to express your voice and pursue your aspirations. It has a broader approach to the whole of a woman's life. Career, passions, community and family, in contrast to Good Enough which focuses on mid to senior level career women. Playing Big is also a combination of the writers coaching experience and own spiritual background. In contrast, Good Enough focuses on practical coaching skills along with a greater understanding of the way the mind works. A work/life handbook for every woman whatever their career and whatever their level. It blends success stories from the likes of Kirsty Young and Bobbi Brown along with practical advice and 10 minutes a day exercises. It’s written by a UK based executive coach and journalist/writer with quite a scientific approach, in comparison to Good Enough which, whilst including the science and practical actions. Also has a running theme around the inner critic and building confidence. The audience for Step Up is broader than Good Enough covering women in a creative, corporate or entrepreneurial world. Lead like a Woman is a guide for women to step into their presence and personal power. It is based on the Leadership Development Programme - Lead Like A Woman - developed by the authors and proven in many organisations. It’s focus is to empower women to see more of who they are and get more of what they want, whilst exploring leadership skills. It differs from Good Enough in that it’s designed for career women and also leaders and coaches working with them. The book also has a focus on positive psychology, neuroscience, wellbeing and gender science. Good Enough is not just a leadership book but an overall career guide for women wanting career progression. 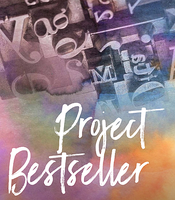 This book is the most recently published of the competition. Sally Helgesen has been writing about women leaders since 1990 when she published The Female Advantage: Women’s Ways Of Leadership and Marshall wrote What Got you Here in 2008. The book identifies the 12 habits that can prove an obstacle to career success and gives readers ideas on how to overcome them. There are similarities in How Women Rise and Good Enough. However, the book is written from the perspective of leadership experts and the examples are American and generally at CEO level. Good Enough is written from coaching perspective with examples from all levels of career women and with a personal connection.